The SMS integration was devised for easy SMS communication since text messaging is still one of the widely-used method for connecting. In an instance that the customer service agent needs to contact the client for a request to call back, product promotion, or any information distribution, the agent can instantly send a text message directly to the client’s contact number on file. In SugarCRM software, client information is tabulated into different modules for organizational purposes. At present, the SMS is applicable for the Contact module, Leads module and Accounts module, at the same time it can be customized to be applied to other modules. In each module, the list that shows the names of the clients are in a hyperlink. By clicking on one of the names in the hyperlink, it will redirect the screen to the page that displays that particular client’s information. If the client provided a contact number on his profile, an SMS button would be available next to it. 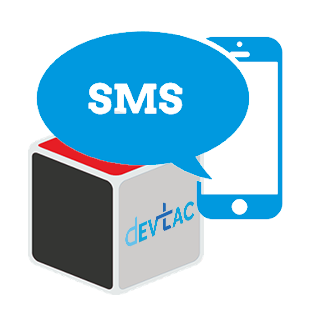 By clicking the SMS command, a pop-up will appear with the SMS box where you can compose your message. The System Default is a rule set by the admin as the easiest and the most cost-effective method of delivering the SMS. For example, if the client’s phone number that starts with +1 which is assigned to Twilio, the system will send the SMS through Twilio. If the number starts with +639 which is assigned to Globe Labs, the SMS will be sent through Globe Labs. Once the content of the SMS is set, the agent can hit the Send button, and the SMS will be sent to the client within five minutes. After the SMS is sent, the client's record will be updated and it will log the action that was done on the account. The Status of the SMS will appear on the subpanel located at the bottom of the screen where it shows if the message is either failed, pending, or successfully delivered. If you have further questions regarding this integration, you may click the button below.